I just finished reading ‘The Old Man And The Sea’ and I can’t help but wonder how appropriate the themes in the story are to my life right now with Wifey in Honolulu. The old man, Santiago, is a fisherman, who is going through a serious rough patch. He endures 84 days without a single bite, before he decides to venture out past the shallow waters in his boat on the 85th morning. 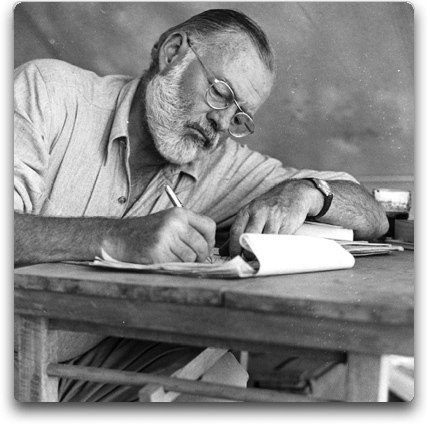 His pride and endurance are the two characteristics that Hemingway explores in great detail. Man’s pride to succeed will often drive him to push himself and make decisions that may, at first, seem crazy. ‘Living the dream’ is what everyone wishes to do but how many people have the actual courage to take their boat out past shallow waters? Man’s endurance is also what is tested every single day in life. How much struggling can a person overcome? How many defeats can someone withstand? How much disappointment can a person handle? Struggles, defeats and disappointment are the challenges in life and the ways in which the world seems intent on, ultimately, destroying every single person who lives. Santiago endures three days of pain and struggling with the fish before he finally defeats the worthy opponent. However, within hours of his triumph, he begins to lose his reward as the predators in the sea emerge to destroy his trophy. The old man does not concede though. He battles the sharks and gradually accepts the loss as a part of his journey. Victories are fleeting and destruction is always unavoidable. There are lessons to be learned along the way though and these can be taught to future generations. The passing of wisdom from man to boy enables man to persist and bravely face defeat, knowing that winning or losing is not important. Striving to do your best, enduring obstacles and learning from your mistakes are what matter in this life. It was nearly 80 days before I was able to secure employment in Hawaii and, at times, finding a job seemed to be an impossible task. Social, economic and cultural struggles continue to face Wifey and me each and every day. But we are surviving. And we are learning. And every morning is a chance to wake up and become better than we were the day before. Did we sail our boat out too far, by coming to Hawaii? Are we chasing too big a fish? Can we face all the predators and obstacles that lie before us? Our pride and determination for a better life brought us here. But only our endurance will give us the ability, over time, to find answers to all of these questions. For now, we will just keep sailing.